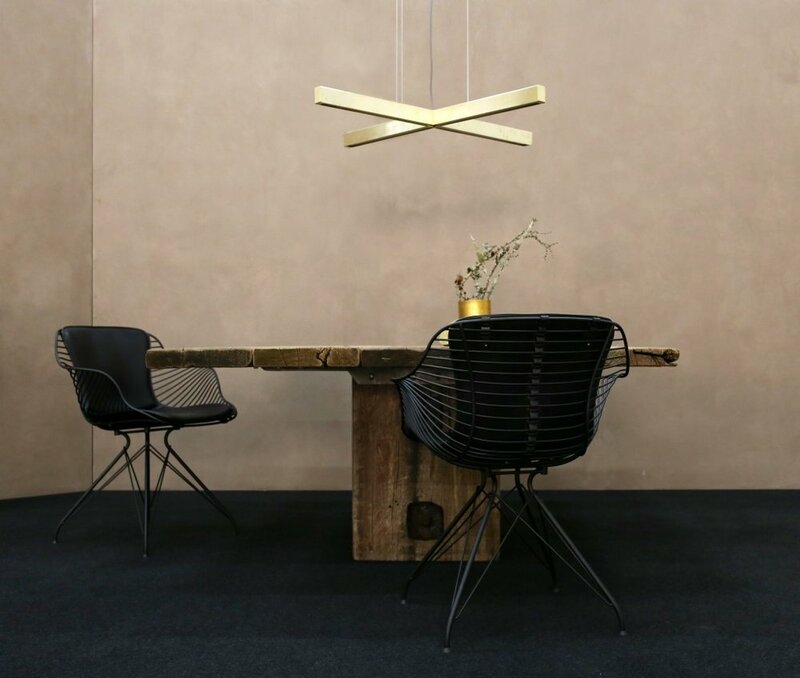 Gubi presented a new lamp designed by Danish designer Louis Weisdorf called the Multi-Lite Pendant Lamp. It embraces the golden era of Danish design and was first drawn in 1972. The lamp truly shows Weisdorf’s passion for diversity. It consists of two opposing mobile shades, which can rotate separately, letting the lamp transform to create different combinations of light. Danish design studio OEO presented a new chair, the Coco chair, created for Gubi. As the name suggests, it has a feminine expression with an elegant silhouette and soft curves rendering a feminine and playful touch. We expect to see this chair embellishing many private homes and restaurants in the foreseeable future. In general, last year was a year for grand new collaborations. Fredericia Furniture collaborated with British designer Jasper Morrison and Portuguese designer Hugo Passos. We especially liked the Pon table by Jasper Morrison. It is a multifunctional little table that is strong enough for you to sit on! It is very minimalistic and simple, and is just as beautiful standing alone as in a group of tables of different shapes and sizes. Jasper Morrison also designed Fredericia’s stand this year. Signe Bindslev Henriksen and Peter Bundgaard Rützou, owners of Space Copenhagen, added to their ongoing collaboration with Fredericia, with both a daybed, an additional member to the Spine collection and a brand new chair called the Swoon easy chair. This one really caught our eye. A swoon is a state of unusual delight and enthusiasm. The design duo was inspired to design a chair that was a mix between a small easy chair, a lounge chair and a typical armchair, as it seems no such chair was on the market. The young and talented Laura Bilde designed a new lamp and vase collection for Handvärk, which we find very promising. The lamp is the first in the Handvärk collection and is called Floor Lamp; it is very Scandinavian and simple. The vases that she also designed are called Turnery and they are extremely heavy. They are made from raw metal and black oxide, giving them a very raw and masculine look that plays perfectly well with feminine flowers. 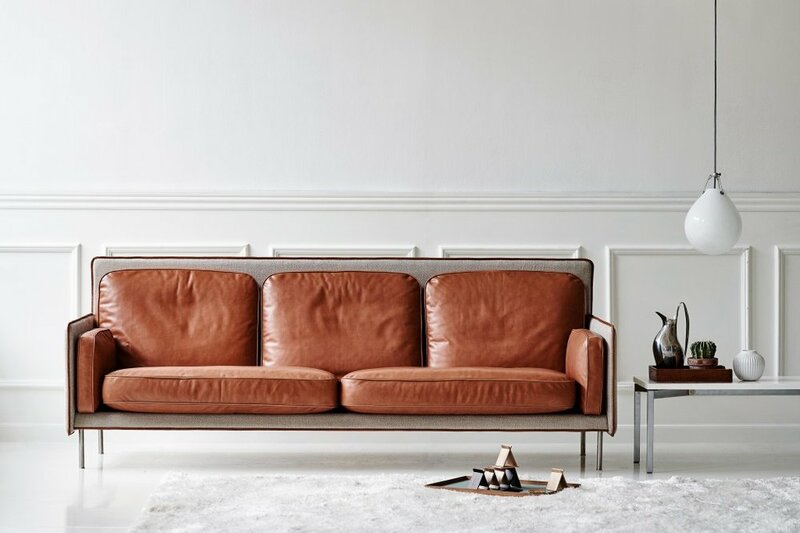 A twist on a classic is exactly what Erik Jørgensen cooked up for us with Norwegian designers Anderssen & Voll’s new sofa, Hector. It is clear to see the references to Erik Jørgensen’s more than 60-year-old design history. The sofa has the classic composition of an Erik Jørgensen sofa; however, what is different are the more cleanly cut lines. The duo focused on combining comfort with aesthetics and distinctiveness. Thors Design, Anour and Overgaard & Dyrman teamed up and presented their new pieces on a shared stand. They have created a perfect balance of lamps, wooden tables and minimalistic chairs. The mix of copper, leather and 50-year-old azobe wood from decommissioned wharves in Denmark complemented each other. We really liked the new all-black chair from Overgaard & Dyrman; you can really see the craftsmanship that went into the making of it. 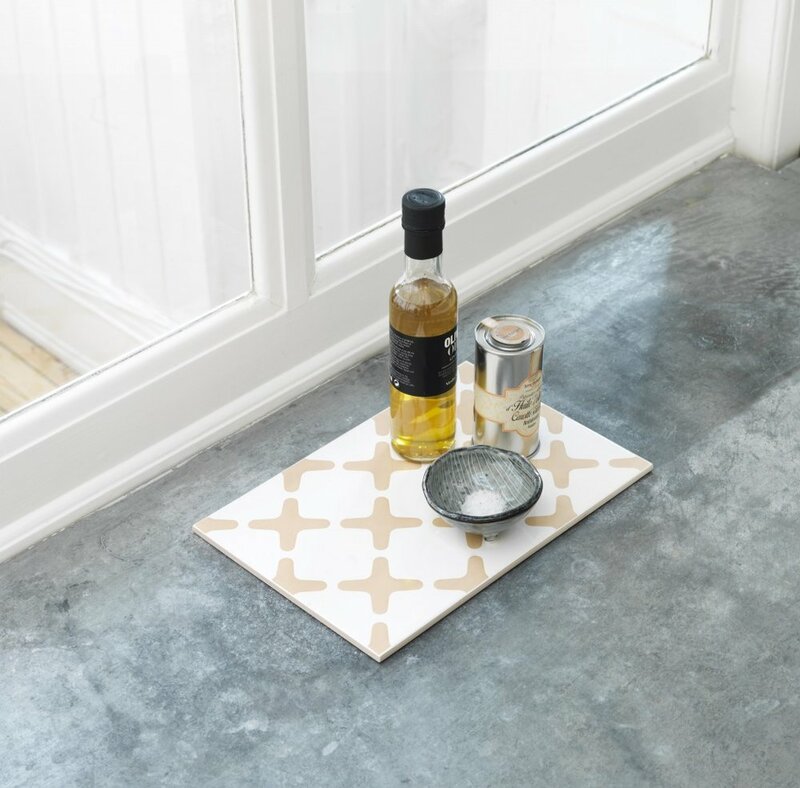 By Lassen is famous for the Kubus candleholder designed by Mogens Lassen but they are spicing things up with prints, furniture, plaids and our new favourite, table trivets. 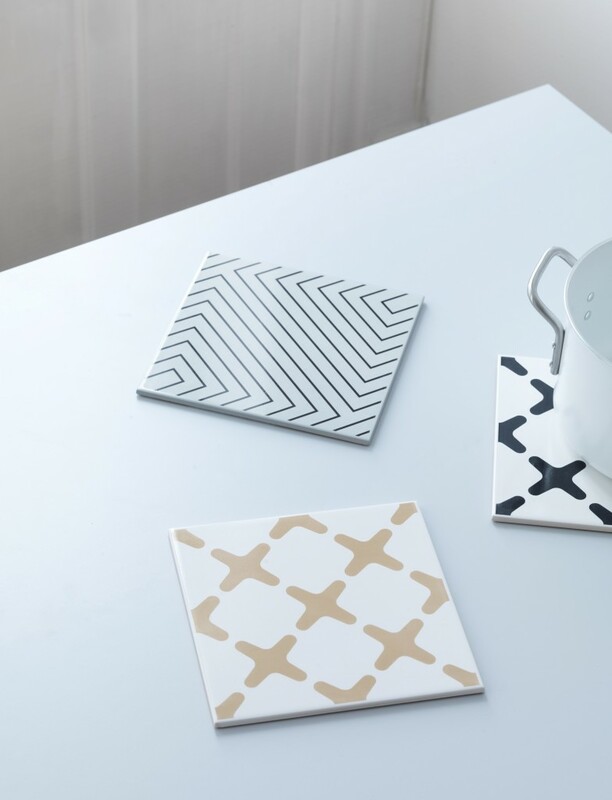 Mogens Lassen designed a wall tile in the 1950s and this design led to a new series of trivets. Mogens Lassen’s old design has been given new life and is the perfect base for a candleholder or just right when placing hot pans on a table. &tradition launched an oldie but goodie from Arne Jacobsen with the Bellevue Lamp produced in its original shape for the floor, wall or table. It is known for its beautiful swan-like neck and 45° shade. It is back in brass, just as when it was first introduced. Carl Hansen & Son also relaunched an old classic with the CH22 lounge chair and CH26 chair, which was previously unknown, both designed by Hans J. Wegner in 1950. 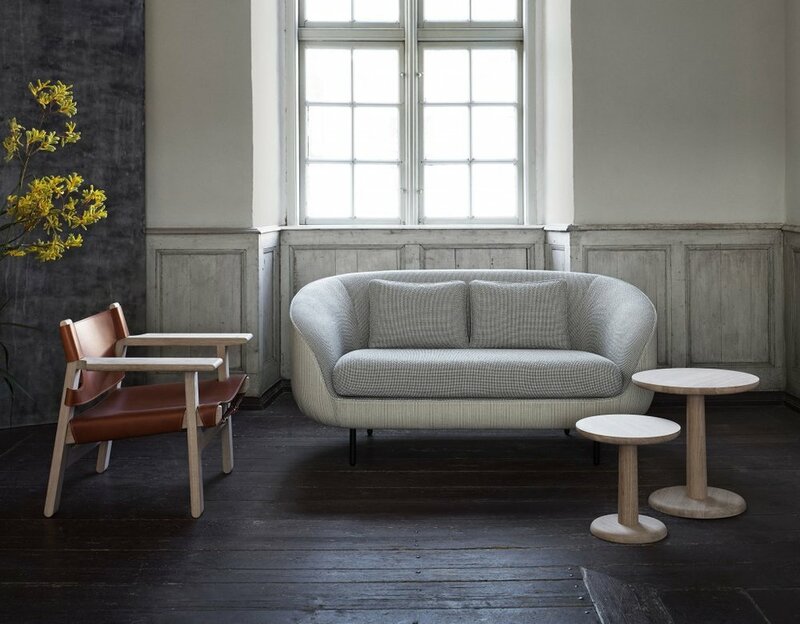 The CH22 was the first model in Wegner’s debut collection, created exclusively for Carl Hansen & Son. In the same collection was a blueprint to transform the CH22 into a dining chair with the model number CH26. Shared features of the two chairs are their robust construction and shaped elements. Once more, dk3 teamed up with Norwegian designers Knudsen/Berg/Hindenes and the result was a small universal table called Little Wing. It has a timeless design and a strong visual character, making it the perfect side table or coffee table. The gap between the two parts highlights the composition of the table.